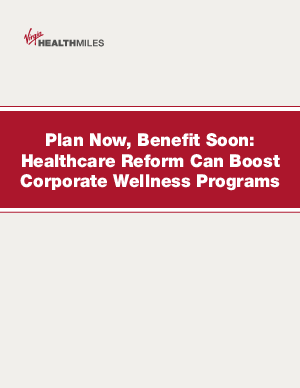 A key provision of the massive Patient Protection and Affordable Care Act (PPACA) of 2010 gives companies the opportunity to significantly increase the financial incentives they offer participants in wellness programs. Starting in 2014, you can raise the total amount of the financial incentives you offer from 20 percent to 30 percent of your plan’s costs. The ceiling goes to 50 percent for smoking cessation programs. With these pending opportunities, you must first decide if it’s best for your organization to increase the incentives you offer; it may not make sense for your organization. If you opt for taking advantage of the higher ceiling, and if you properly apply the incentives through your corporate wellness initiatives, both your organization and your employees can benefit. Either way, start reviewing your wellness programs and incentives now to make sure youget the most out of healthcare reform later.